Airport commission chairman Robert Rosenbaum. The Martha’s Vineyard Airport Commission voted this week to hire a New York-based search firm to help find a new director to replace Ann Richart, who will leave in May. Ms. Richart announced last month that she will not renew her contract after nearly three years on the job. After reviewing three proposals at a special meeting Thursday, commissioners voted to sign a $37,000 contract with ADK Executive Search, the same firm that assisted in the search for Ms. Richart in 2016. 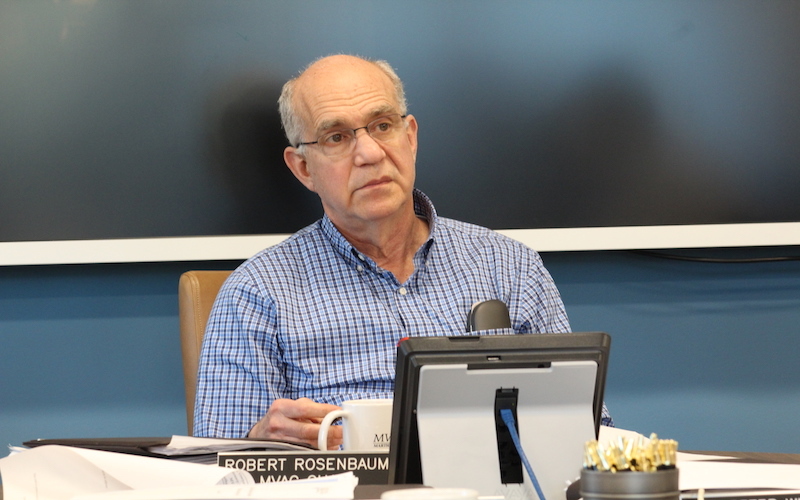 Commission chairman Robert Rosenbaum said despite the expense, hiring a professional will make for a more efficient search process than if the commission took it on themselves. Commissioner Don Ogilvie, who is also chairman of the personnel subcommittee, agreed “They know this airport cold. Their price is the best price and they have the knowledge and the skills to do it,” he said, speaking of ADK. Commissioners agreed to form a six-person selection committee to review candidates proposed by ADK, made up of three commissioners and three members of the community. Mr. Ogilvie was selected as committee chairman. A number of people have expressed interest in serving as community members; the commission will make selections at its next meeting. It was also agreed to update the airport director’s job description to more accurately reflect the duties of the position. According to the current description, the director is primarily responsible for airport operation by managing staff, working with the commission on short and long-term planning, and maintaining relationships with the FAA and MassDOT to secure financial support. Ms. Richart’s current annual salary is $166,900. “I think we need to go through this with a fine-tooth comb,” said Mr. Rosenbaum. Mr. Ogilvie said a focus on public relations should be added to the description. “There should be more substantive discussion of community relations. I think that ought to be front and center,” he said. In other business, commissioners voted to spend $68,400 to replace an ailing 20-year-old boiler that heats the main terminal building. Airport engineer McFarland Johnson will be paid $24,000 to design the new boiler, and $45,000 will go to Commercial Boilers System Inc. for installation. Ms. Richart said she is looking for state grants that could cover up to 80 per cent of the boiler expenses. Commissioners also opened up the application process for a comptroller, a new position. The application deadline is March 15.